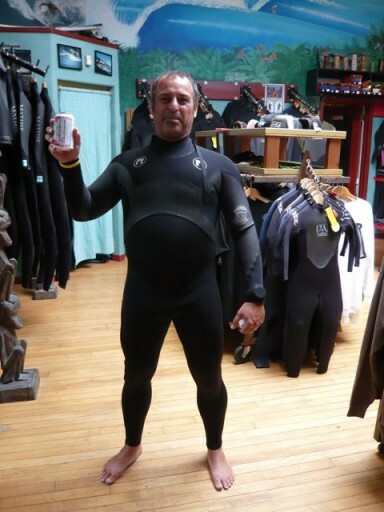 The winner of the the �Do something nice for Ocean Beach Contest is Rich Gillern whom wins a spanking new Matuse 4.3.2 Hoplight Wetsuit. �My name is Rich Gillern and I would like to submit the following in your Ocean Beach love contest. I am a long time Bay Area resident and surfer for over 25yrs whom has resided in San Francisco for the past 14+ yrs. OB and its great community is why I have chosen to live and raise my children here�. �The bottom line is: I have spearheaded this project because the school is no longer a safe building in the event of an earth quake and rather than just addressing the current structural problems and fixing them, I have looked at it as a opportunity. An opportunity to give something back to the Ocean Beach community and future San Franciscan children whom will ultimately be the care takers of our global environment. In addition, use my profession to be environmentally sensitive and create a building that lessens its environmental impact and will hopefully be viewed as a case study for good passive environmental building design." We applaud Rich and all those who entered this contest- thank you and let�s not forget we all need to do our part in taking care of Ocean Beach and our community. Cheers! Learn more about Matuse wetsuits HERE.